We have seen many dock menus for windows. Most of them have glassy and Mac kind of look while others are just plain and hold lots of icons. Such docks are usually glued to a particular place and can be accessed by moving the cursor over them. But the Circle Dock is something different. It’s a dock which actually appears wherever your mouse is. 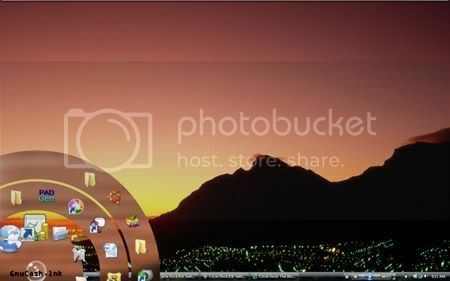 For instance if you have opened a window and you want to access the dock then you don’t have to go all the way to your desktop and click on it, you can have access to your dock anywhere within the window itself. Sounds cool isn’t it? Let’s have a peek into the features of this dock. 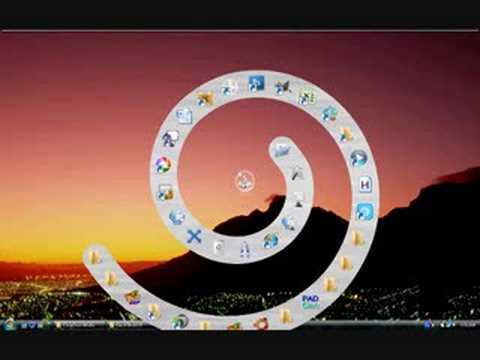 >The Circle dock as the word says is circular and spiral in shape. >To add new shortcuts to it all you need to do is just drag and drop the shortcut into the dock. >The dock can be rotated using mouse or keyboard. >Change the image shown for the icons and change the skins. There are a more than 30 skins to choose from. >Ability to run the program from a portable USB memory stick and have the links in the dock point to the documents on the USB memory stick. >Ability to synchronize the links on the dock with the files, folders, and shortcuts on your desktop or other folders in real-time. >The dock appears where your mouse is by pressing a hotkey. The default key combination for the dock to appear is CTRL-WINDOWS KEY. >You can decide whether the dock is always visible or if it disappears when the program loses focus or when you click an application icon. >Launch start menu by clicking the center button in the dock. >Works on computers with multiple monitors.